John D. Rockefeller, Sr., history’s first billionaire and the patriarch of America’s most famous dynasty, is an icon whose true nature has eluded three generations of historians. 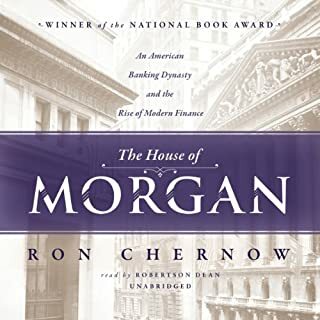 Now Ron Chernow, a National Book Award-winning biographer, gives us a detailed and insightful history of the mogul. Titan is the first full-length biography based on unrestricted access to Rockefeller’s exceptionally rich trove of papers. A landmark publication full of startling revelations, the book indelibly alters our image of this most enigmatic capitalist. Born the son of a flamboyant, bigamous snake-oil salesman and a pious, straitlaced mother, Rockefeller rose from rustic origins to become the world’s richest man by creating America’s most powerful and feared monopoly, Standard Oil. Branded "the Octopus" by legions of muckrakers, the trust refined and marketed nearly 90 percent of the oil produced in America. Rockefeller was likely the most controversial businessman in our nation’s history. Critics charged that his empire was built on unscrupulous tactics: grand-scale collusion with the railroads, predatory pricing, industrial espionage, and wholesale bribery of political officials. The titan spent more than 30 years dodging investigations until Teddy Roosevelt and his trustbusters embarked on a marathon crusade to bring Standard Oil to bay. 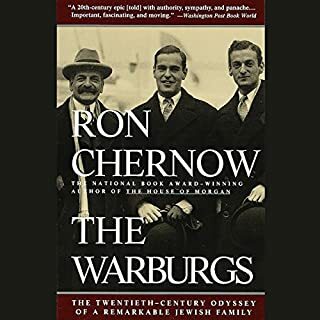 While providing abundant evidence of Rockefeller’s misdeeds, Chernow discards the stereotype of the cold-blooded monster to sketch an unforgettably human portrait of a quirky, eccentric original. A devout Baptist and temperance advocate, Rockefeller gave money more generously than anyone before him - his chosen philanthropies included the Rockefeller Foundation, the University of Chicago, and what is today Rockefeller University. Titan presents a finely nuanced portrait of a fascinating, complex man, synthesizing his public and private lives and disclosing numerous family scandals, tragedies, and misfortunes that have never before come to light. John D. Rockefeller’s story captures a pivotal moment in American history, documenting the dramatic post–Civil War shift from small business to the rise of giant corporations that irrevocably transformed the nation. 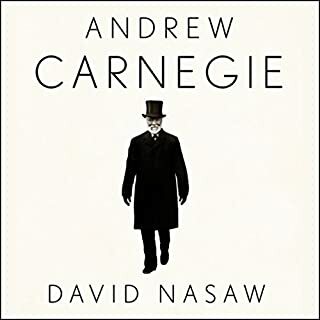 With cameos by Joseph Pulitzer, William Randolph Hearst, Jay Gould, William Vanderbilt, Ida Tarbell, Andrew Carnegie, Carl Jung, J. P. Morgan, William James, Henry Clay Frick, Mark Twain, and Will Rogers, Titan turns Rockefeller’s life into a vivid tapestry of American society in the late 19th and early 20th centuries. 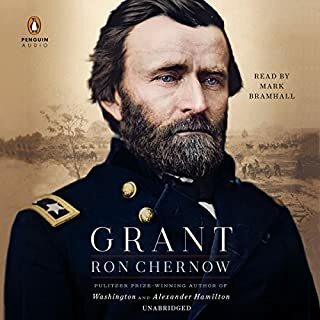 It is Ron Chernow’s signal triumph that he writes this monumental saga with all the sweep, drama, and insight that this giant subject deserves. Well written and extremely thorough. John D. Was a man of maybe contradiction and great generosity. An incredible listen that will inspire anyone with a modicum of ambition. Rockefeller's life, as presented by Chernow, is a master class in how to get things done and is surprisingly full of adventure. 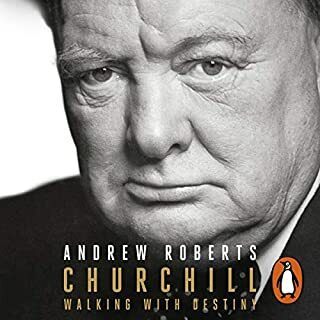 Great book on a great man. 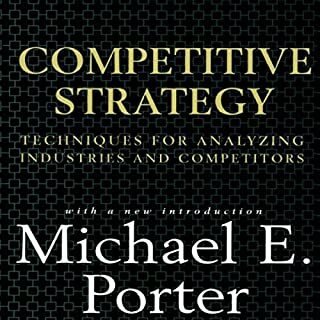 The only complaint I have is that it does not include much about the inner workings of Standard Oil and details of the thought processes behind some decisions made. It looks at it from a 20000ft distance angle. Otherwise the book is great. Very informative on the man and the family too. 35 hours is a long listen, but it didn't drag. 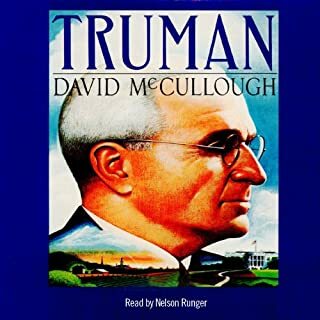 Great narration by Grover Gardner. I really enjoyed this book - it should be subtitled "the intersection of faith and work". It was interesting how Rockefeller Sr tried to reconcile his faith & work (arguably failing). It was also interesting how few generations passed before the family turned away from faith. I Found myself wanting to drive, so I could listen to this book. Excellent Story. Its possible he may be one of the most influential people of are time !! Boy do I wish I had an chance to ask him a million questions !! Great Book even greater man !! 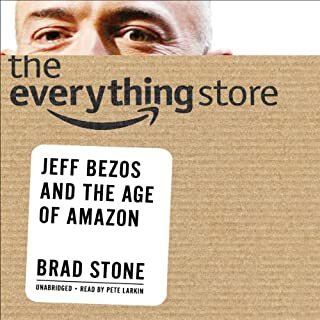 This was a long, long read but I just can’t see how you’d get the whole story about the Rockefeller Empire by reading an abridged version. It was long, but well worth your time. From the onset, John D Rockefeller was destined to be a financial giant. Choosing not to enlist in the union Army during the civil war he began building his empire in Cleveland with a small Oil refinery. 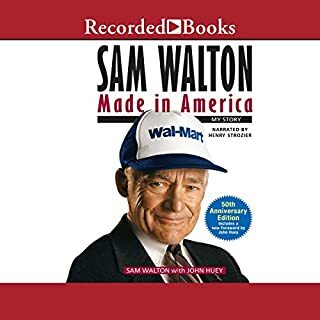 As the demand for oil grew, and following several business savvy maneuvers he slowly built Standard Oil into the world’s largest oil company and he into one of the world’s richest men. Not without a few underhanded tactics which he would ignore, Standard Oil grew to colossal proportion until it was ultimately broken up by the US courts. 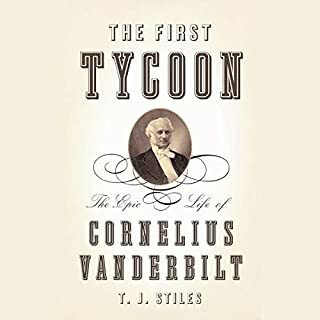 This was an excellent read and I would recommend it to anyone who would like to learn about Rockefeller, Standard Oil, his philanthropic endeavors, or how one of the largest corporations in the world became the greatest monopolies. 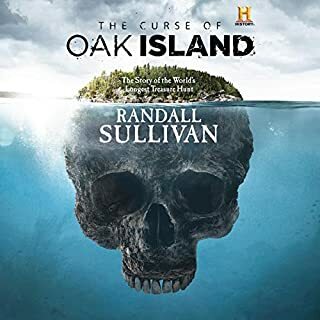 The story is long and no detail is left out and it is well worth the time to learn how this very powerful, yet very complex family empire came to be. WOW! What a fascinating story! YES! And I have, to anyone who will listen. This is a fascinating story of a man very few people know much about beyond his wealth. Chernow is both an excellent writer and a master of research. This is a long listen but it never bogs down. You will walk away having completely revised your understanding of Rockafeller. You may not like him any better but you will know him better. What was one of the most memorable moments of Titan? When I realized the origin of Spellman College in Atlanta, GA.
Everything, he is one of my favorite narrators. Knows when to emphasize and when to hold back, easy on the ears, good diction, pleasant tone. The end. I was sorry it was over. Found it hard to put this down. It's beautifully written and read. A very easy listen too. The author tells a great story but is at pains to include important historical details. It's very detailed but well paced. I like the way the chapters are organised into different sections of Rockefeller's life. Even though this was written in the 1990s the narrative style has a certain late 19th / early 20th century flavour to it. The reader's style works well with the words, he manages to evoke the age, steeping the listening experience in atmosphere. I'd imagine years of painstaking research have gone into creating this book. Last week I knew very little about Rockefeller. Now I know a lot about the man, his beginnings, how he built his fortune, his saintly, human, crooked and cunning sides, his mind boggling philanthropy and more besides. We humans love to paint others as either one thing or the other, good or bad, saintly or evil. This is a great study how someone can have so many contrasting and contradictory sides to their character. I would have loved to have met Rockefeller, especially in his old age. He was an astoundingly, fine, cunning, complex and brilliant character. On balance I'd say the book is quite sympathetic to Rockefeller, but that's not surprising. He was vilified from afar, but close up had a way of winning people over. The book does devote plenty of space to his misdeeds however, and lays responsibility firmly at his door for these. 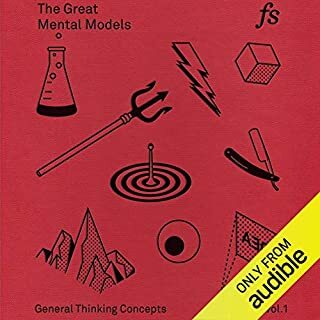 I want to listen to more audio books like this. After reading this book, here is a once sentence description of Rockefeller. If Rockefeller was a modern day NFL football player he would be a all pro linebacker who blindsided quarterbacks and put them in the hospital then stepped off the field, went home and baked cookies for the neighborhood kids. I recall my high school text books dedicated one or two paragraphs of one chapter to "The Robber Barons" and for some strange reason I just assumed that was sufficient to gather the gist of what they were about. Wow, that a bad assumption. The actual story of John D. Rockefeller, Sr. is so, so much more than a mere story of a guy who was in the right place at the right time. Chernow's detailed portrait of his life makes him come to life in a way that is vivid and stunning. I am amazed that he was able to reconstruct so much of this man's origins, motivations and feelings as his life unfolded on such a grand stage. What a well done piece of scholarship and what a well done narrative. At no point in the this book do I feel like Chernow took a side. At some points I felt Rockefeller was a victim of the greed of others, he was taken advantage of and he had really tried to cultivate true goodness in his character. At other moments I was shocked as his aggression and just how hard he charged in his business. The life and habits of this curious man are on full display. It made me want to take the best of him and make it myself while keeping the worst of him at bay. The narration is masterful. No complaints there. 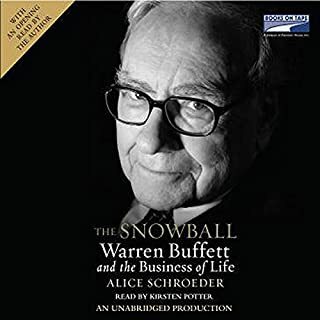 I am currently researching many legendary businessman and had previously listened to "The Rockefellers" by Peter Collier & David Horowitz. 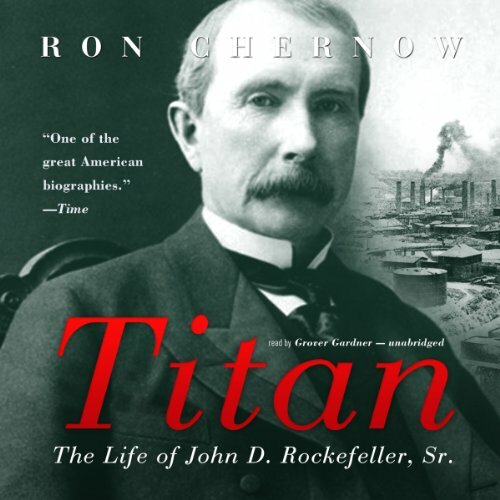 "Titan" provides everything that "The Rockefellers" lacks (which is a ton). While one could view them as being complimentary, if you are to choose between the two, "Titan" is the one to go with, hands down. Highly recommended. If you could sum up Titan in three words, what would they be? Reason I selected the book in first place was the Grover Gardner, he brings the story to life. This is a fascinating biography of an immensely important figure. But it is also an account of the beginnings of the world oil industry, taking us from the discovery, not of oil, but of how to get the stuff out of the ground, in NW Pennsylvania and the beginnings of the business of oil refining in Cleveland -- all the way to the split of the Oil Trust and the consequent (ironic) further enrichment of Rockefeller. Rockefeller was an incomparable organizing genius, and both his genius and his deviance are on full display here. But much of this book has to do with his gigantic philanthropic endeavors -- and his family. This is a very important book. I knew about Roosevelt's trustbusting and Ida Tarbel's newspaper attacks, but not from the perspective of those who were victims of much scrutiny and hatred. Tarbel in particular went too far. I sludged through first two or three hours, then I was hooked. I learned SO much about how big businesses worked back then. 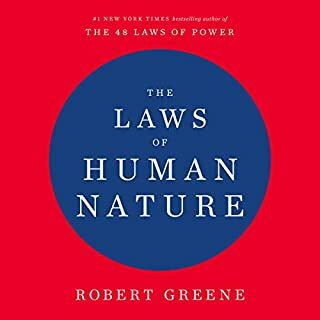 The most interesting part of book for me was the way the family charities evolved into serious organizations whose members won Nobel prizes for curing diseases and saving countless lives. Many will be surprised at the state of medicine in America before the Rockefeller Institute for scientific research in medicine. The charities are so numerous. I especially was impressed with his work to raise education in the south. 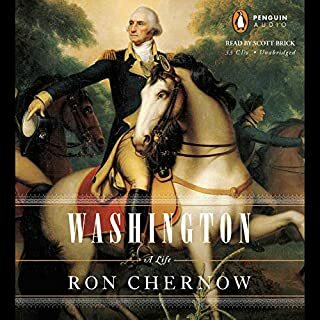 Chernow is an outstanding historian. He covers every aspect of every story. Good and bad. He creates both the savage business man and the well meaning family man. He shows us the humanity that was lost on so many others who abused him personally about his looks and his illness, they even attacked his family. I did feel sorry for the man at times! 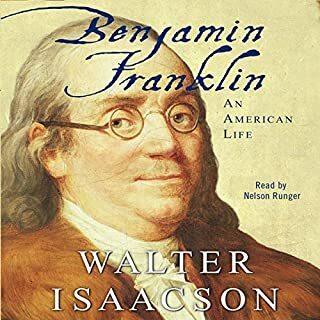 I enjoyed this book as well as the Chernow biographies of Washington and Hamilton. Chernow always has an interesting and thorough approach to biography without making it too detailed or over praising the subject. The first half or more of the book that dealt with Standard Oil and Rockefeller was the most interesting part. The philanthropic portion of the later life was a little longer than I thought it needed to be. I did learn a lot about many of the charities that Rockefeller started and supported in the areas of medicine, education, and religious institutions. I felt the author had an evenhanded approach to the religious side of Rockefellar. 36 hours is quite long for an audiobook. And yes, at times it feels there are too many details on a topic that is not critical to the story. 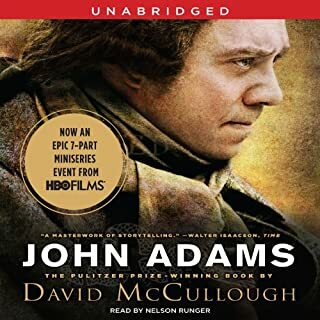 Still, the audiobook is always engaging and always interesting. I was not tempted to fast forward or skip. On the contrary, I really enjoyed this book. It gives a surprisingly complete view of John D. Rockefeller, his context, his life, his legacy and his challenges. 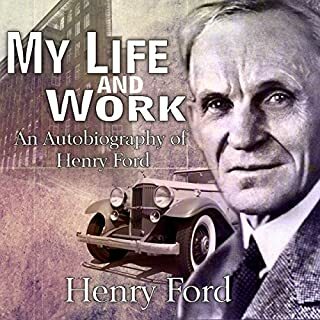 The book provides life lessons, a detailed view into the state of business, trade and even the culture of the earlier 1900s as well as a comprehensive account of JDR's life, business, struggles and personal achievements. Worth spending 36 on it.